Seven times a medalist at the Olympics, starting with gold, silver and bronze at Tokyo in 1964, she competed in four more Games. With her Olympic and world championship titles, she remains Poland’s most decorated athlete. At the time of her death she was a member of the IAAF Council and an IOC member since 1998. 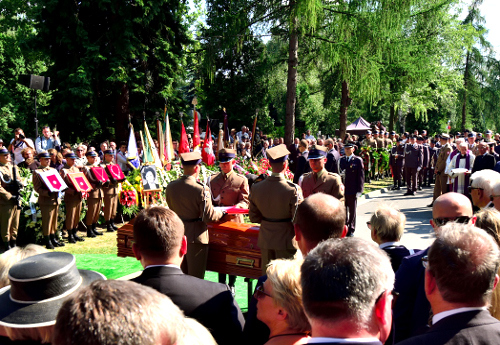 Ceremonies in Warsaw July 5 began at the Military Cathedral, packed to its 250 capacity. 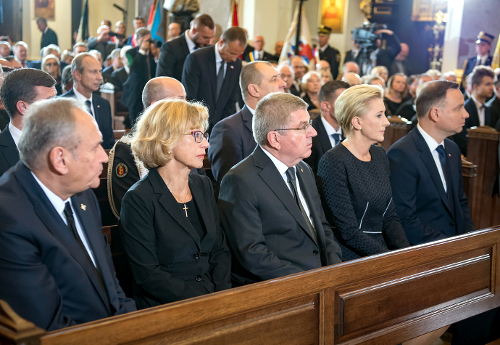 President of Poland Andrzej Duda, IOC President Thomas Bach, IAAF President Sebastian Coe, Polish Sport Minister Witold Banka and Polish Olympic Committee President Andrzej Krasnicki were among the mourners. Representatives from NOCS of Lithuania, Latvia and Slovakia also attended. 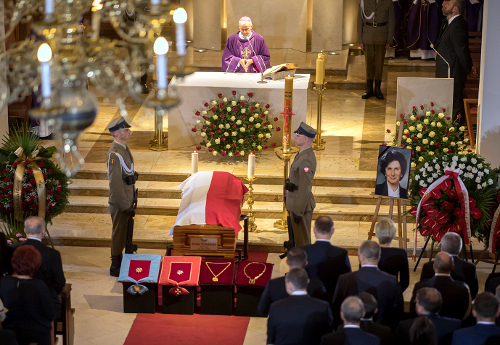 Duda eulogized the role Szewinska played in Polish sport. 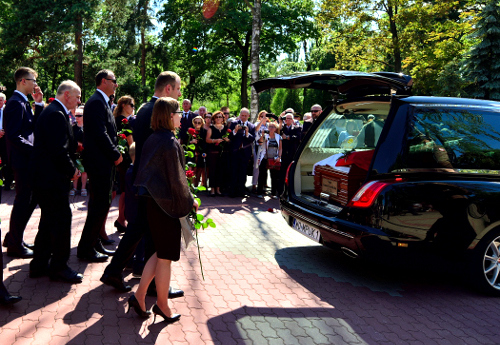 "He said she was a source of satisfaction and joy for Polish people," a POC staff member relayed to ATR. 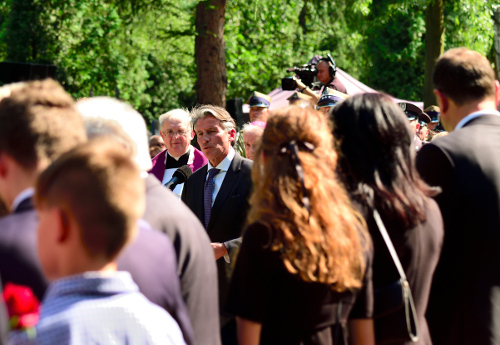 A second, larger ceremony was attended by around 2,500 people at the national military cemetery. Prime Minister Mateusz Morawiecki recalled episodes in Szewinska's youth when track and field coaches suspected stopwatch malfunctions as she raced faster and faster. 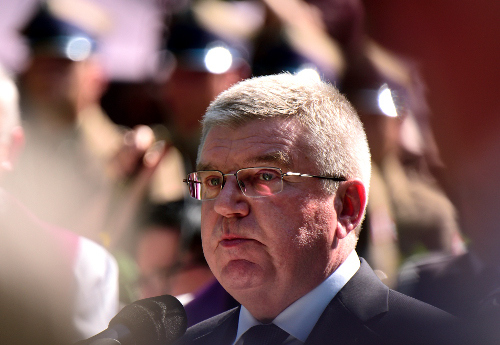 The IOC President remembered Szewinska as a beloved colleague on the IOC. “Irena dedicated her whole life to sport. In everything she did, she was a role model for others with her gentleness and modesty. This is what made Irena such an inspiration to athletes and women around the world," said Bach. "As an IOC colleague, she impressed everyone with the quiet confidence that comes from an inner conviction and balance. You could always rely on her advice and support. She passionately believed in the power of sport to make the world a better place. 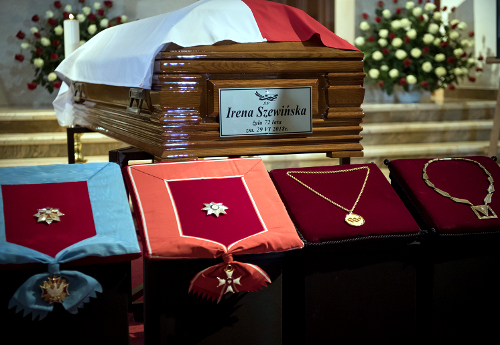 Irena and her gentle soul, will live on forever in our hearts," said the IOC president. He closed with a goodbye in Polish to Szewinska. 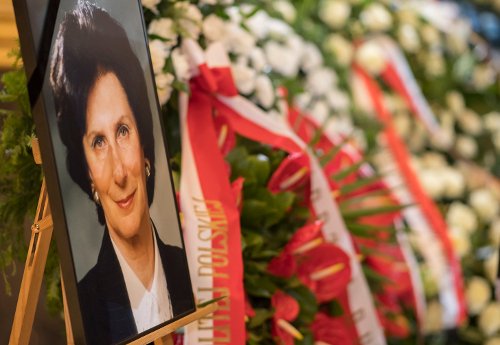 Via twitter, Coe described the ceremonies on a sunny day in Warsaw as "A solemn and moving day reflecting on the life of the great athlete Irena Szewinska, who shone on and off the track."